Spicy Thai Mango Chicken Dinner! Sometimes trying new things can lead to an awesome new dinner idea! 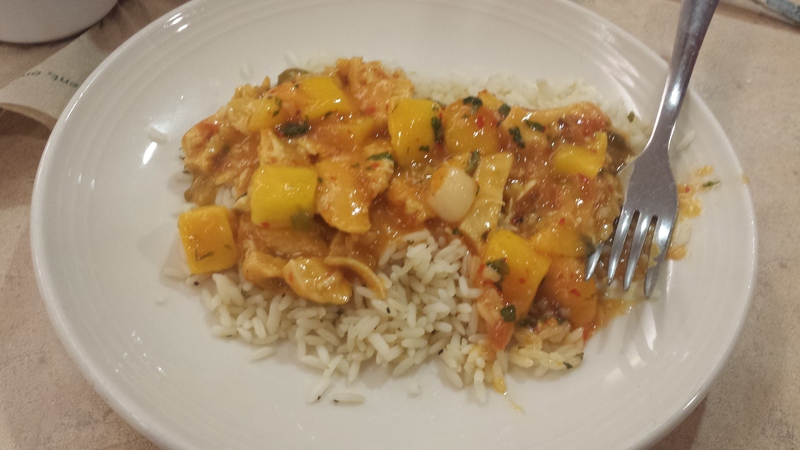 I never thought the combination of chicken, mango, spicy thai, and rice would go together but they do! Definitely something I will put on the suggestion board to have again. I love anything spicy thai rice. Mango is also one of my favorite fruits. This dish is exciting and a good healthy dinner. At my University I could not find anything to eat when it came to dinner time. Everything looked like it tasted good but I was not in the mood for them. I wanted something new and luckily that is what I got! Indian food is very unique just like their culture. Their food consists of spicy foods and sweet desserts (sounds like a perfect meal to me). Indian culture is huge on dessert. Here is a little more information from this website about the history of Indian food. They have it for religious, festive and just a tradition to have after dinner. I would not complain with having sweet desserts a part of my culture. They are known for their Shrikhand which is a yogurt dessert that is very sweet and thick. Most Indian restaurants probably have this dessert. Whenever my family goes for Indian food I have to get their mango smoothie. It’s called Mango Lassie and I recommend trying it next time you are in an Indian restaurant. It’s kind of my own tradition when I go there. After a little research, I found thai food incorporates mango in a couple of their dishes. I found a thai dessert called Thai Mango Sticky rice, sounds interesting! If you are looking for an easy dessert to make for the night you should look at the recipe. I know when I go home for fall break I will try and make this. The reviews say that you need to buy the right sticky rice for this desert to get that perfect taste. 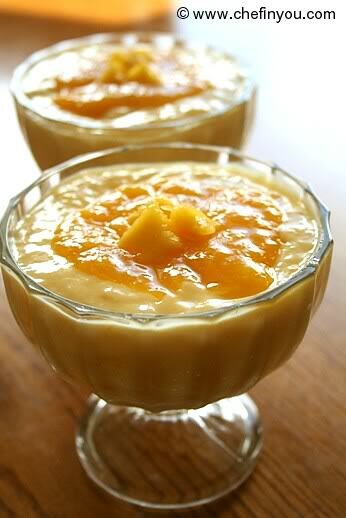 Another recipe I think sounds really good, Mango with sticky rice! It sounds simple and a light dish. Another simple recipe that is worth checking out! Tina Kelley and Kevin Ryan Visits U of Scranton! thevulgarchef on Meat Is Good For You Too!